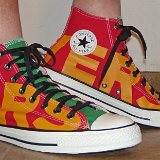 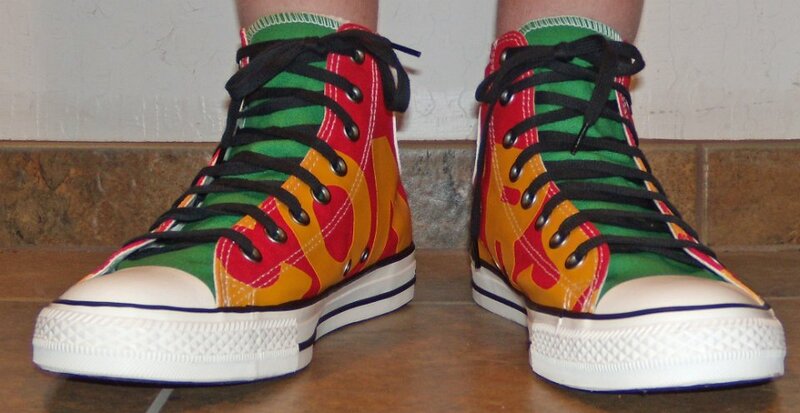 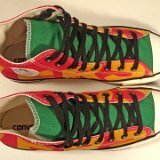 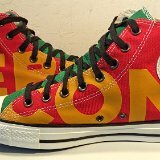 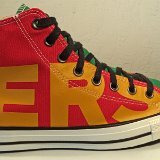 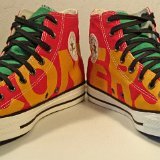 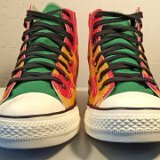 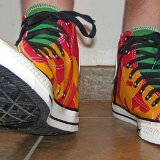 Photo gallery of a new pair of red, green, and yellow Converse All Star Workmark chucks. 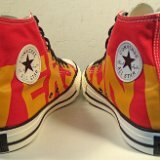 1 CTAS Wordmark High Tops Inside patch view of a right high top. 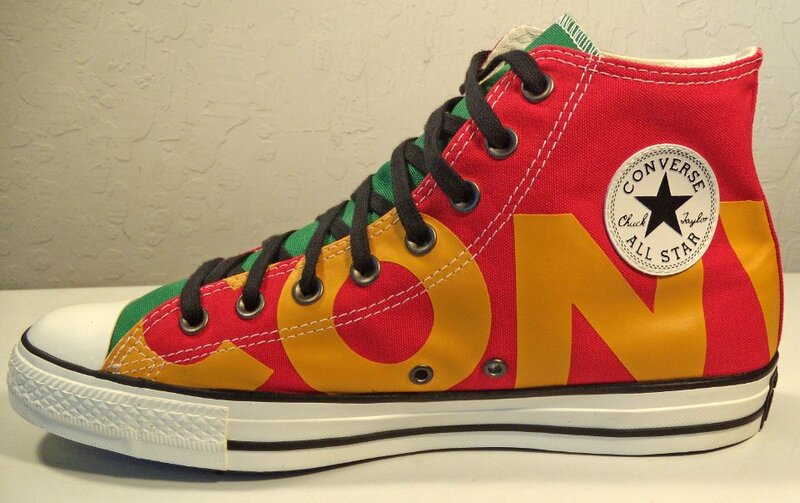 2 CTAS Wordmark High Tops Outside view of a right high top. 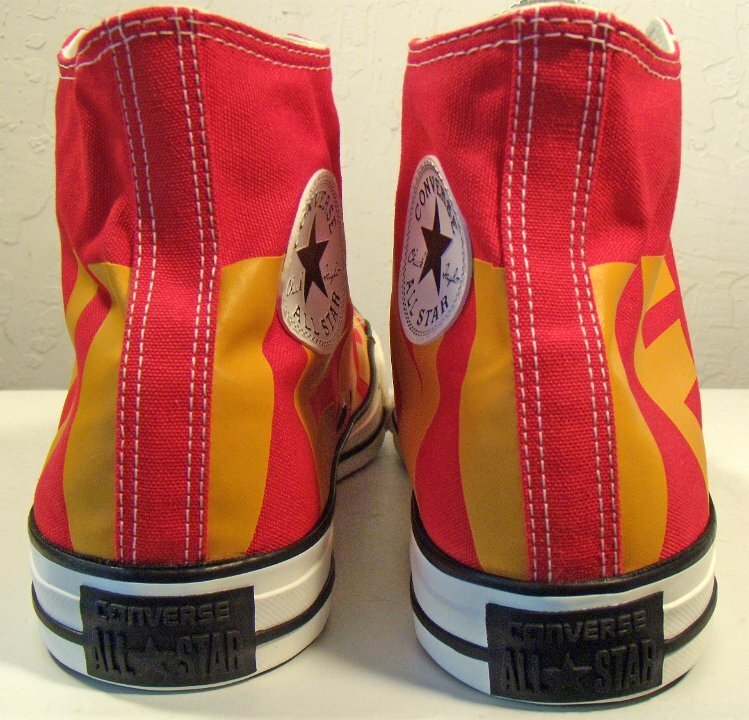 3 CTAS Wordmark High Tops Inside patch view of a left high top. 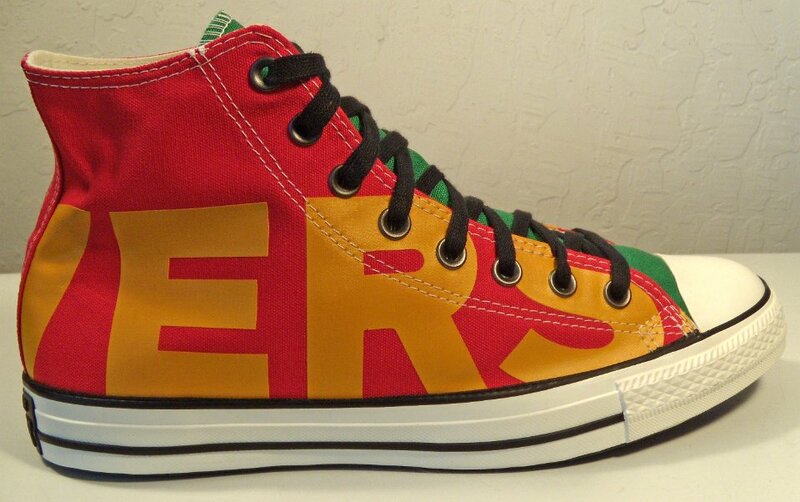 4 CTAS Wordmark High Tops Outside view of a left high top. 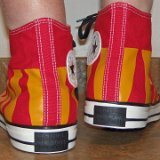 5 CTAS Wordmark High Tops Rear view of high tops. 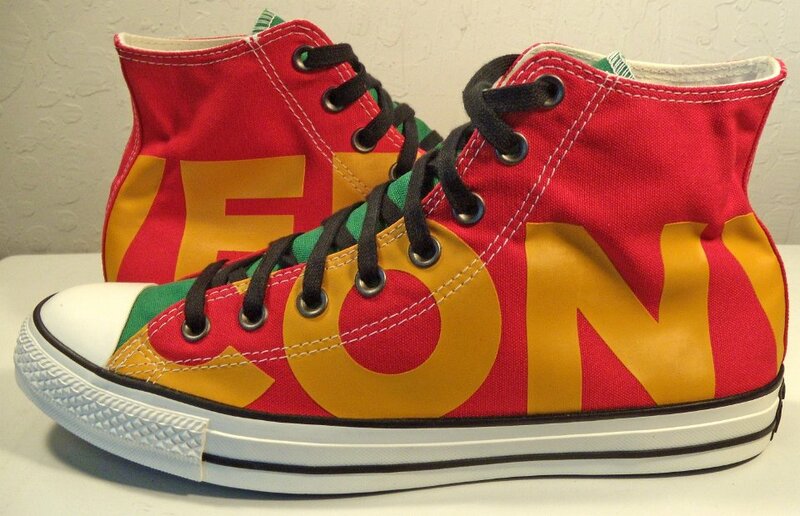 7 CTAS Wordmark High Tops Angled side view of high tops. 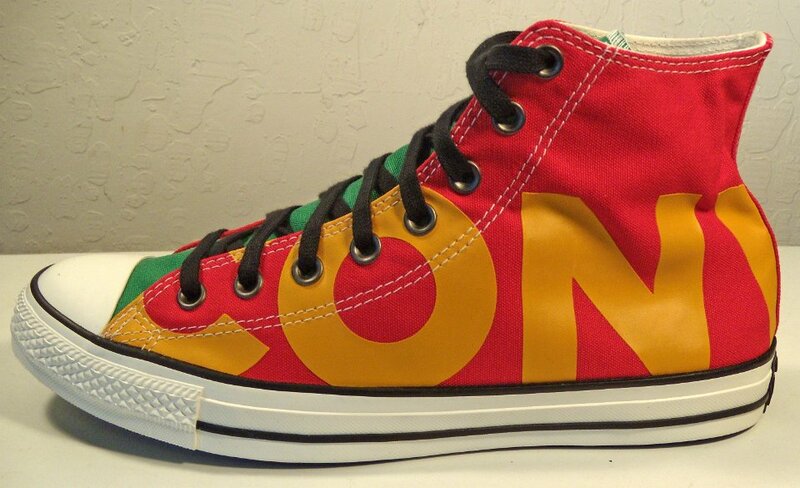 9 CTAS Wordmark High Tops Angled front view of high tops. 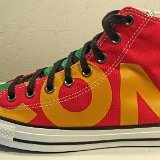 10 CTAS Wordmark High Tops Wider angled front view of high tops to see the word Converse. 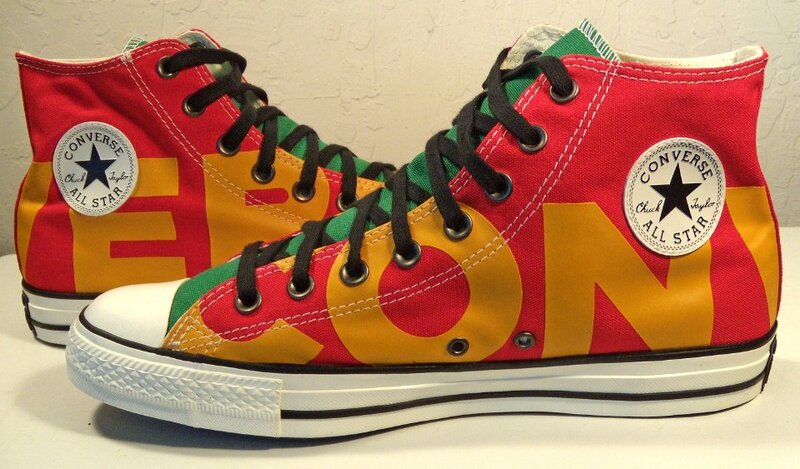 11 CTAS Wordmark High Tops Top view of high tops. 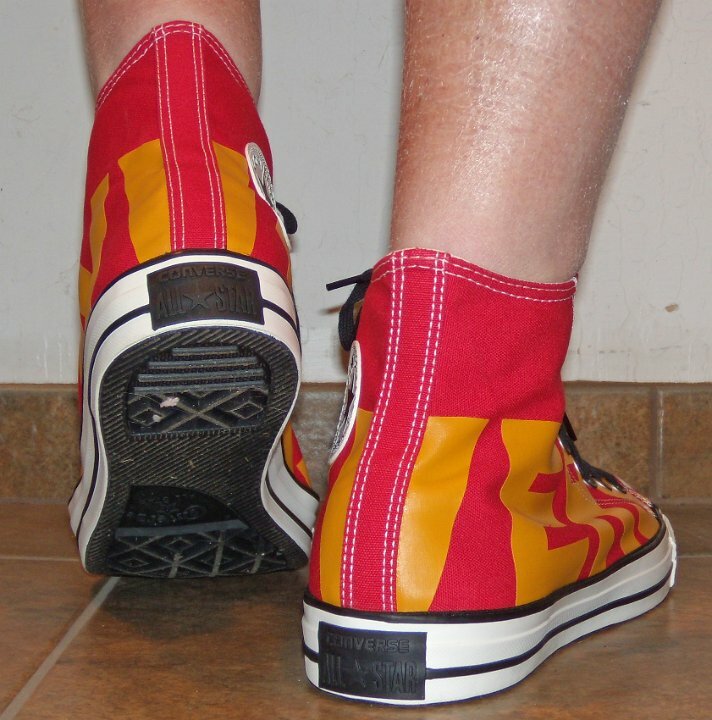 12 CTAS Wordmark High Tops Inside patch views of high tops. 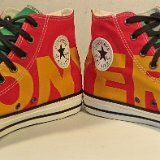 13 CTAS Wordmark High Tops Outside views of high tops. 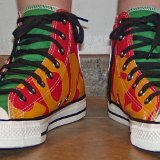 14 CTAS Wordmark High Tops Side by side view of high tops. 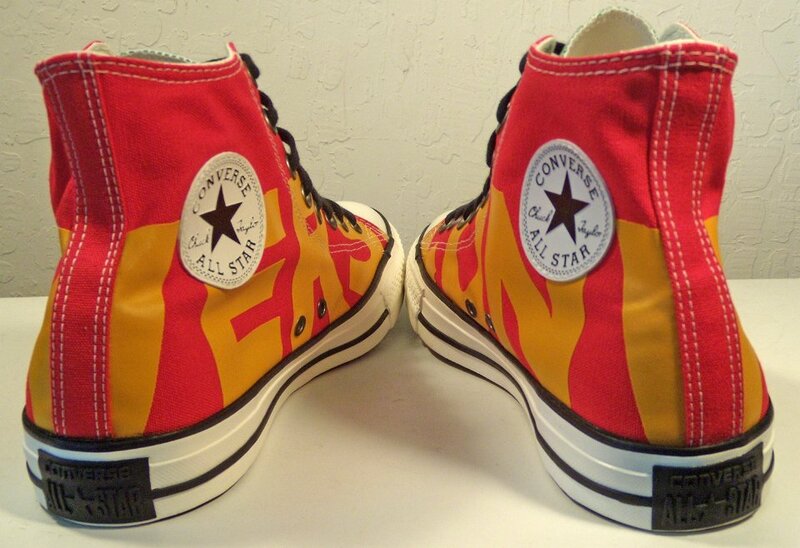 15 CTAS Wordmark High Tops Inside patch and sole views of high tops. 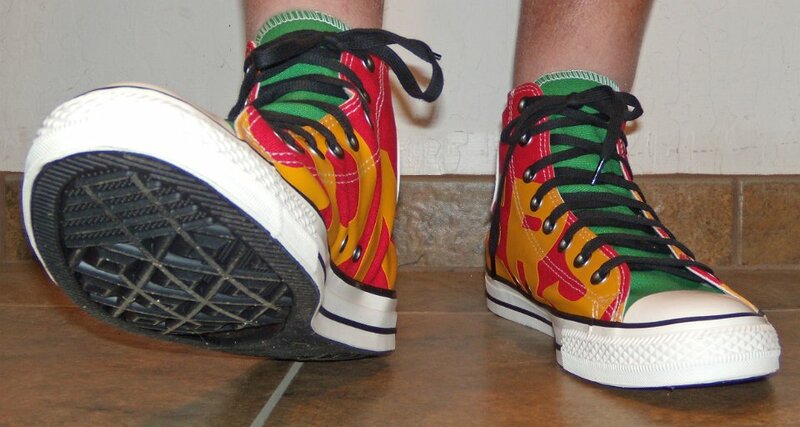 16 CTAS Wordmark High Tops Wearing color high tops, front view 1. 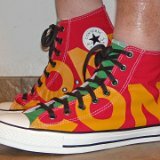 17 CTAS Wordmark High Tops Wearing color high tops, front view 2. 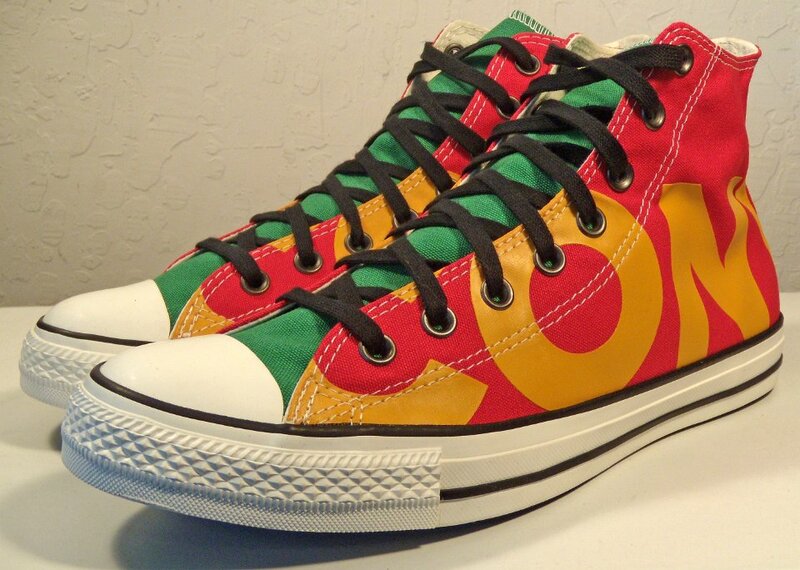 18 CTAS Wordmark High Tops Wearing color high tops, right side view 1. 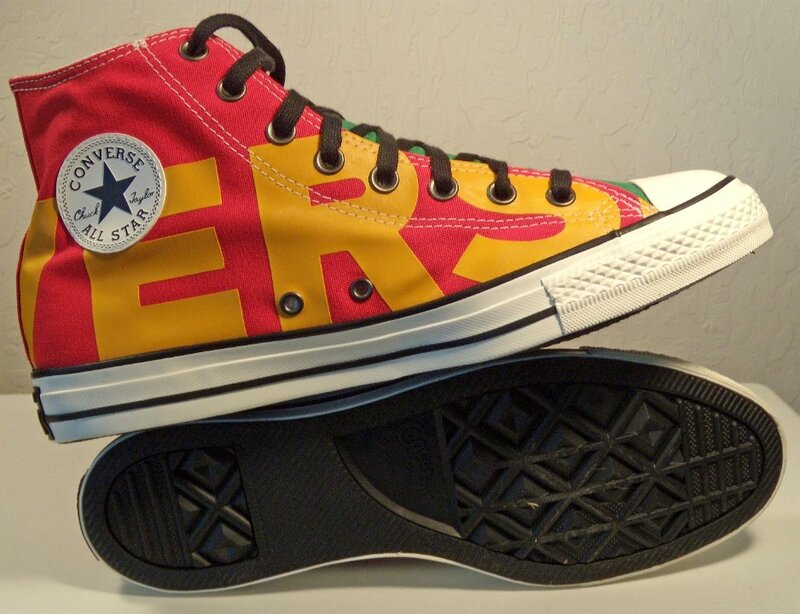 19 CTAS Wordmark High Tops Wearing color high tops, right side view 2. 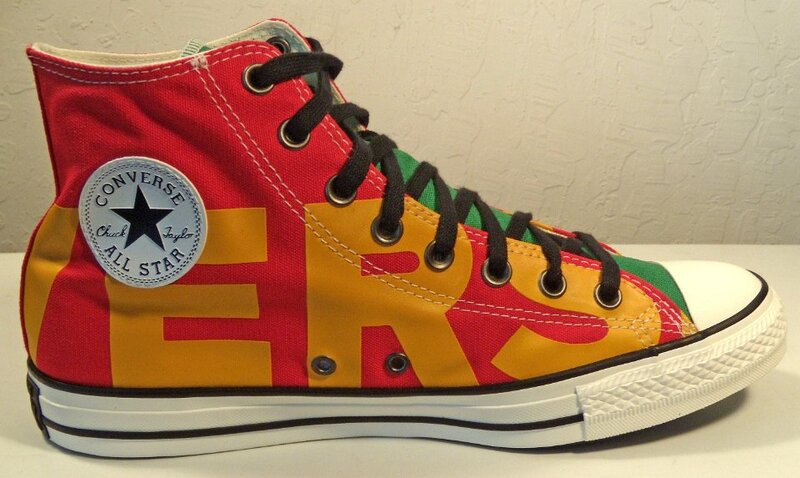 20 CTAS Wordmark High Tops Wearing color high tops, rear view 1. 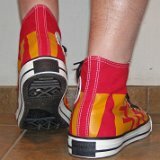 21 CTAS Wordmark High Tops Wearing color high tops, rear view 2. 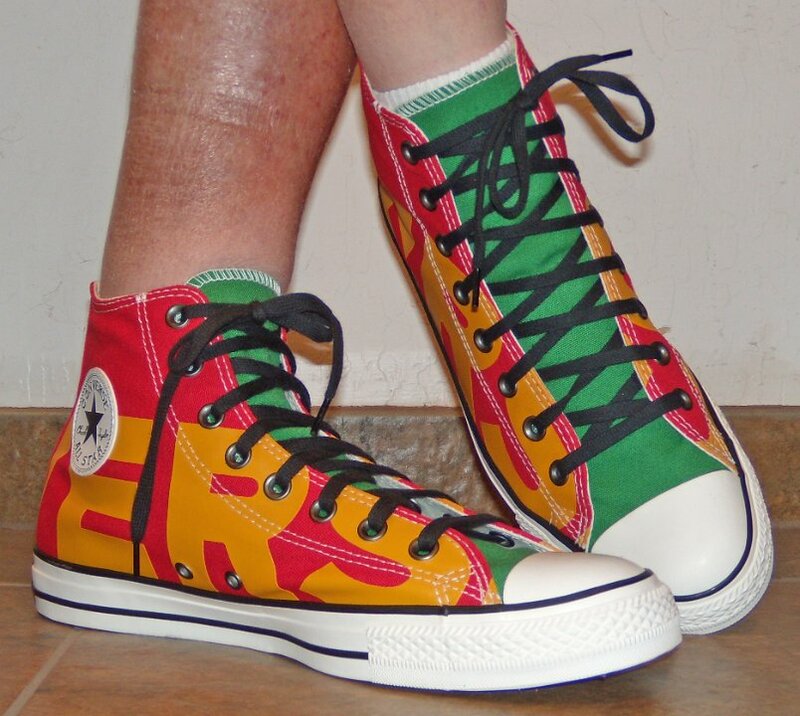 22 CTAS Wordmark High Tops Wearing color high tops, left side view 1. 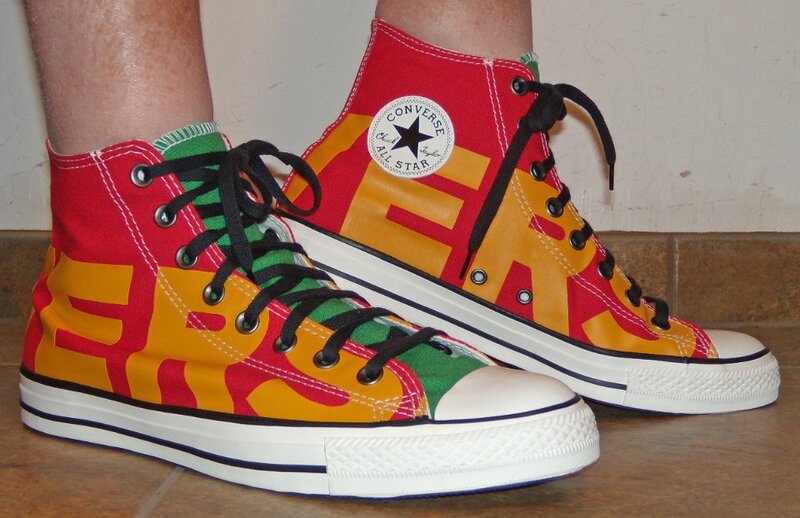 23 CTAS Wordmark High Tops Wearing color high tops, left side view 2. 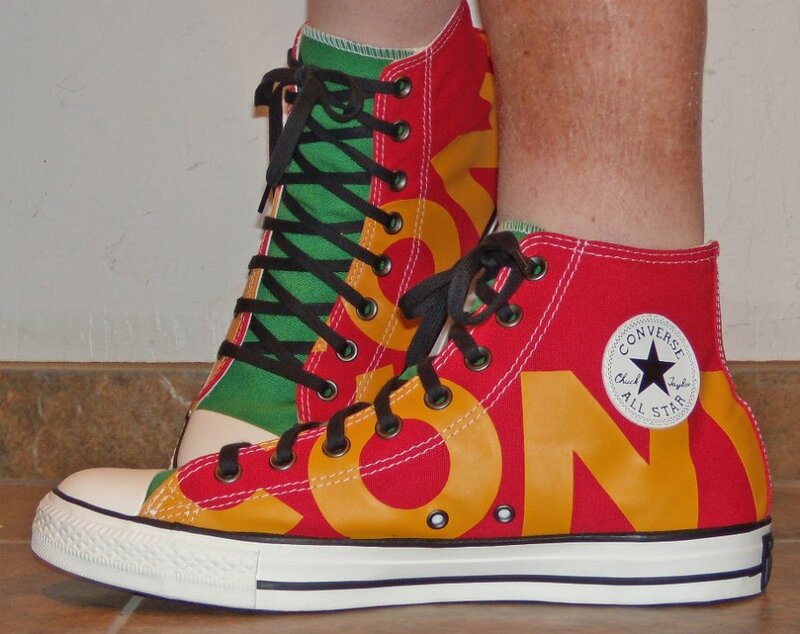 24 CTAS Wordmark High Tops Showing the word Converse. 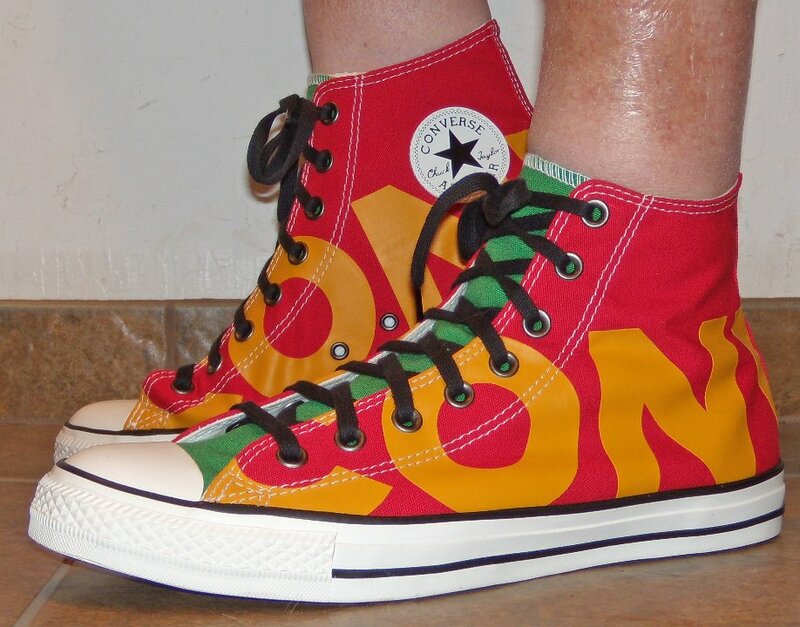 Wordmark high top chucks are a seasonal model made in 2018. 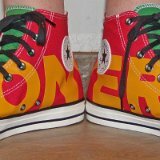 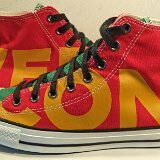 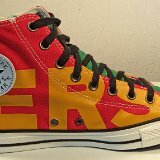 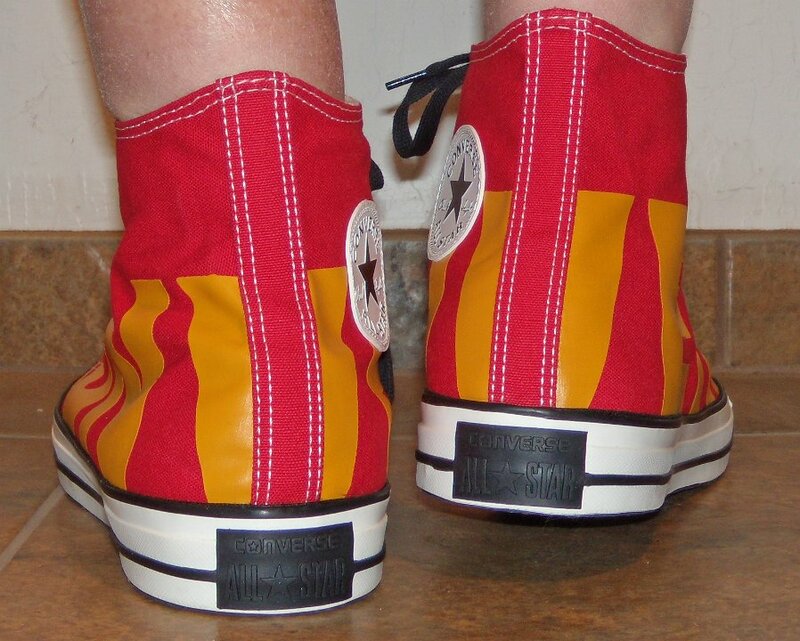 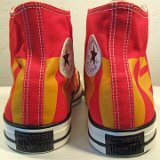 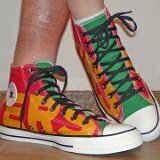 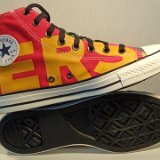 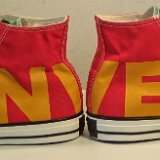 They feature the word "Converse" in bold yellow lettering wrapped around red uppers. 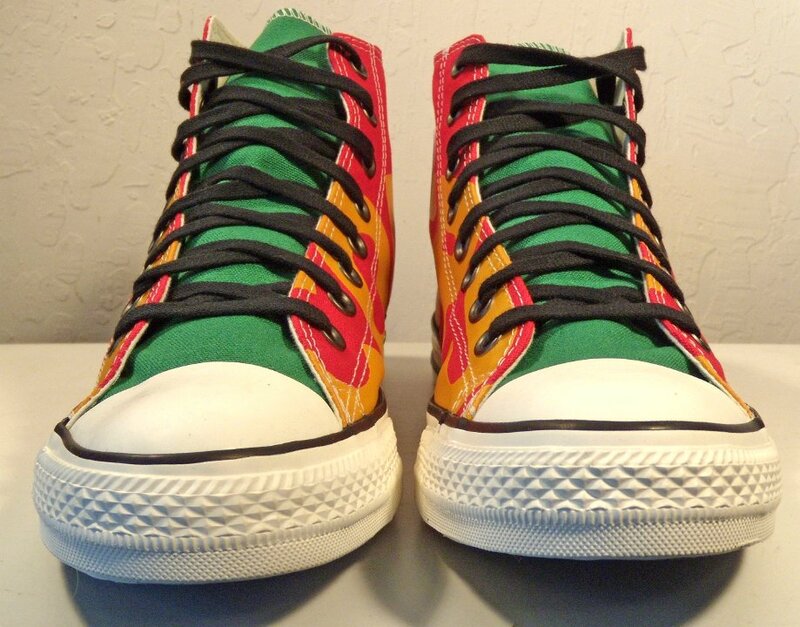 The are a 2-tone model, with the shoe tongues in bright green. 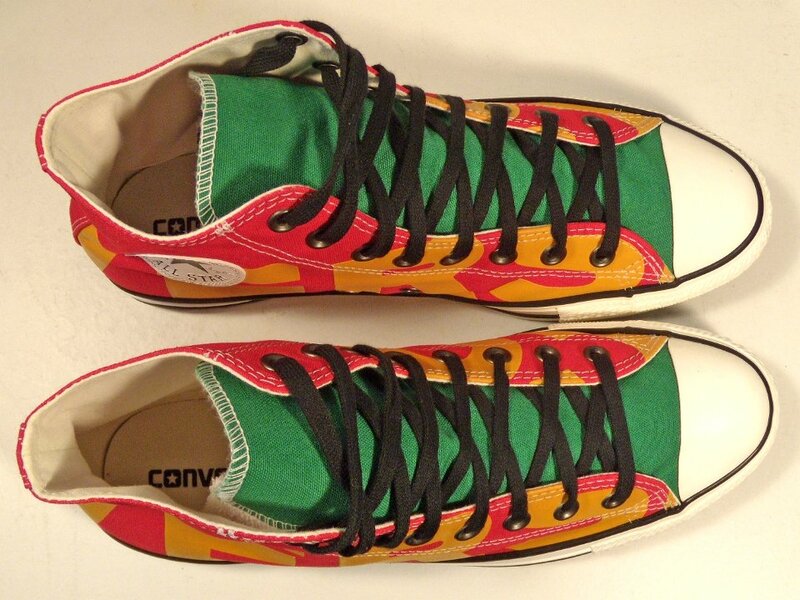 They come with black shoelaces. 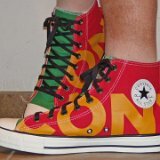 The ankle patch is embossed black on a white leather patch. 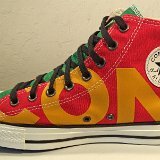 The rear Converse All Star patch is embossed and all black, ironically contrasting with the bold upper design. 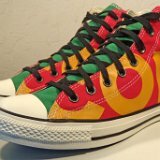 The outer soles are also black.